EnglishClub’s music man, Jonathan Taylor Brittunculi, won a prestigious music award this month for his 9/11 tribute, The Falling Man (If Only). Jonathan’s song was chosen as Best Folk Song December 2015 in the Akademia Awards. Odd Jonathan, whose stage name comes from his struggles with dyslexia, was inspired by the documentary ‘Voices from the Towers’. 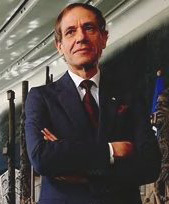 His award-winning song is also featured as part of the artist memorial gallery of the 9/11 Memorial Museum in New York. The video below was created by Jonathan’s former English students. Visit Jonathan’s MyEnglishClub page to congratulate him on this award. 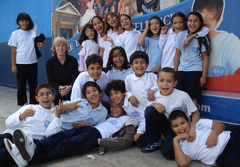 You can find Jonathan’s Music for English Learners on MyEnglishClub or on YouTube. Hip Hip Hooray! Anyone can sing Happy Birthday! A US federal judge has ruled that Happy Birthday To You, the most recognized song in the English language, is not protected by a valid copyright. This is great news for anyone who wants to use the song in a movie, advertisement, or other commercial production. The publishing company Warner/Chappell has been collecting millions of dollars in royalties for use of the Happy Birthday song since 1988. 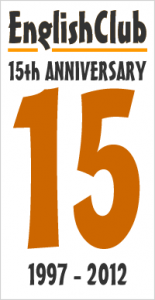 This is the year Warner took over a publishing company that once claimed to have the copyright for Good Morning To You, a kindergarten song with the same tune as Happy Birthday. Good Morning To You, which has been out of copyright for years, was written by an American teacher named Patti Hill and her piano-playing sister Mildred. The judge ruled that no valid copyright for the combination of the sisters’ adapted lyrics (Happy Birthday To You) and tune exists. This new ruling suggests that Warner/Chappell not only has no valid copyright, but that it may also have to pay back millions of dollars in royalties that it has collected over the years. Warner/Chappell will have a chance to appeal. Some legal experts warn that this ruling doesn’t officially put the Happy Birthday song into the public domain. A valid copyright holder other than Warner/Chappel could still come forward. Which video site do you use to watch English videos? Have you tried Daily Motion? This is an alternative to YouTube, and you can now view EnglishClub’s videos on our DM channel. 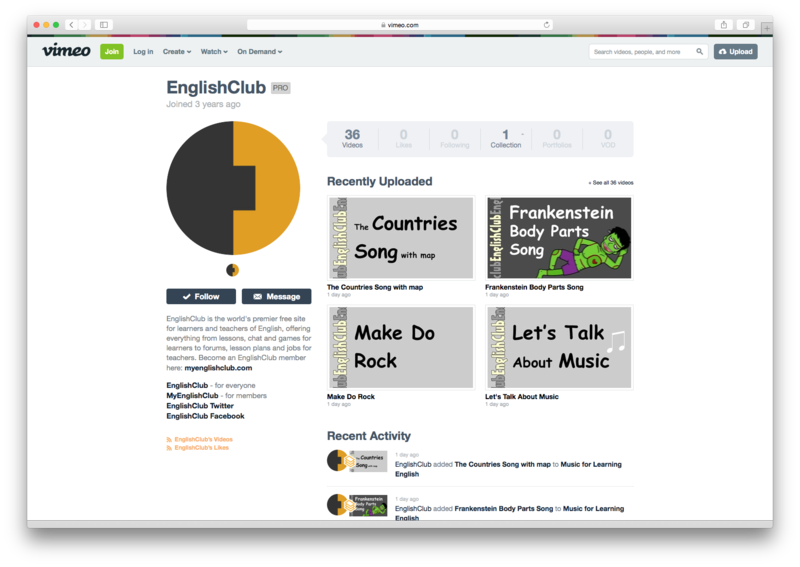 All of our Music for Learning English videos are now available in a playlist. We will be adding more EnglishClub videos soon. 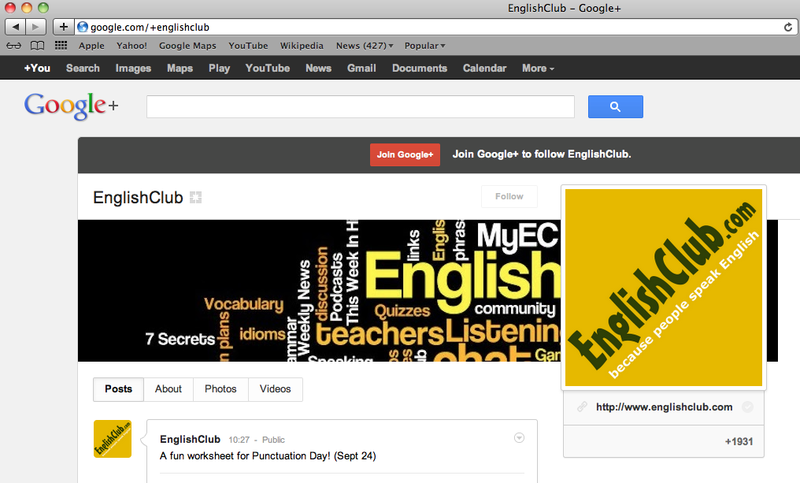 Follow EnglishClub on Daily Motion. EnglishClub has a new reading and vocabulary resource all about Music. In this section, you will find in-depth articles and glossaries about many different music genres. If you’ve never tried using a jigsaw activity in the ELL classroom, now is a great chance to give it a try. 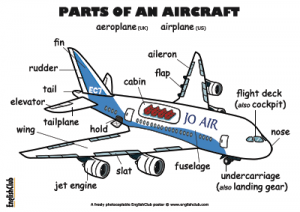 What is a Jigsaw Activity? 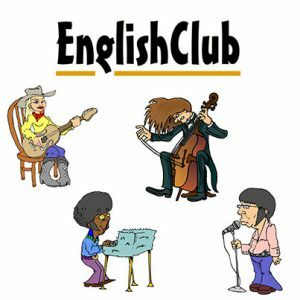 EnglishClub’s music man Jonathan Taylor has released a new song and it’s full of phrasal verbs. Every phrasal verb in Phrasal Verbs Rock starts with the letter ‘r’. Do you enjoy sending e-cards to your friends, family members or students? EnglishClub has holiday greeting cards that you can share along with easy English articles and quizzes. Are your classroom walls looking a little bare? EnglishClub’s NEW wall posters offer useful English vocabulary diagrams. These posters are FREE for anyone to download and print without modification. The following posters are now available. 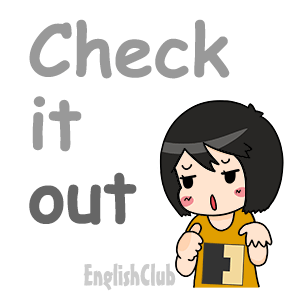 Have you seen EnglishClub’s stickers? These images are FREE for anyone to download and use. They include easy English words and phrases. You can use them to express your thoughts and emotions in English in your online correspondence with friends and family members. Here is a collection of resources you can use to teach or learn about Halloween. I want to be buried with a mobile phone just in case I’m not dead. 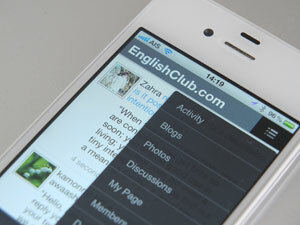 Do you use EnglishClub on your mobile device? The EnglishClub team is working on a new responsive website design that will make it easier for you to read, watch, and listen to EnglishClub resources on your smartphones and tablets. With responsive website design, the navigation, text and media should fit nicely on your mobile screen so you don’t have to resize the content manually. The layout of the screen changes automatically depending on the device you are using. This is known as an optimized viewing experience. Today’s technology allows journalists, webmasters, teachers, and a variety of contract workers to telecommute from all over the world. I’ve been working virtually with EnglishClub founder Josef Essberger for over 11 years. Are you looking for new ideas to use in the classroom or in your online teaching? 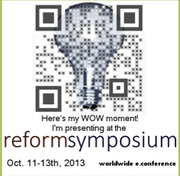 The fourth annual Reform Symposium Conference (RSCON) is taking place from October 11-13th. This is a free online conference for teachers. Come out and learn how teachers around the world are wowing their students, and how you can too! EnglishClub is going to be there presenting about one of our resources. Following the news is a good way to practise English. Many English learners read, listen to, or watch the news in order to learn new vocabulary and practise reading and listening skills. 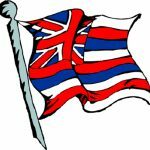 Having a little background information about the news in one’s own native language is very helpful when it comes to understanding the news in a foreign language. Just released! Another hit song for you to listen and learn by from EnglishClub: the Months of the Year Song — or It’s Been a Year (since you broke my heart). As usual, it comes with sub-titles so you can follow along more easily. We think you’ll enjoy this fun song from Jonathan Taylor. It’s perfect for teachers too. Does Punctuation Get You Down? Punctuation: A guide to punctuation marks and their correct use in English writing. Announcing a complete new section of 720 drag-and-drop games that learners can play to practise talking about TIME – past, present and future. 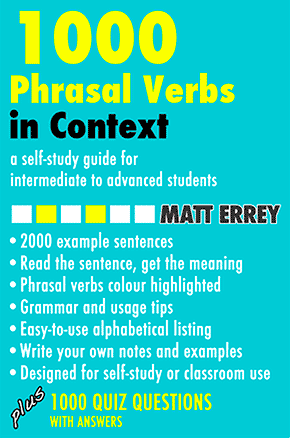 These games, specially created for EnglishClub by Matt Errey, cover pretty well every way in which we talk about time in English, whether using tenses, special constructions like “going to” and “used to”, or modal auxiliary verbs like “must” and “would”. The games are in sets of ten, with each set focussing on just one particular way of talking about the past, the present or the future. The first game in each set is the easiest, and the last game is the most difficult. 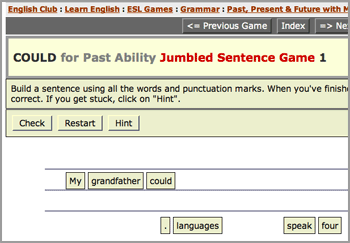 In each game, the words in a sentence are mixed up or “jumbled”, and players try to put them back into their correct order. For example, one of the sets focusses on using “going to” to talk about future plans or intentions. 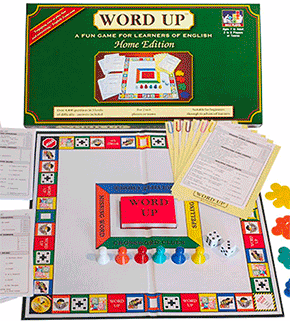 In a game in this set, players might have to make a sentence with the following words: “movie”, “to”, “I’m”, “tomorrow”, “a”, “see”, and “going”. Players can drag these words around, trying different combinations, until they come up with a sentence that they think is correct. If they come up with either “Tomorrow I’m going to see a movie” or “I’m going to see a movie tomorrow”, they earn the maximum score of 100%. Players can then click on “Next Game” to play another game about “going to”. There are 720 games in 72 different sets, and learners who gradually work their way through the whole collection are sure to improve their understanding of the many ways in which we can talk about time in English. 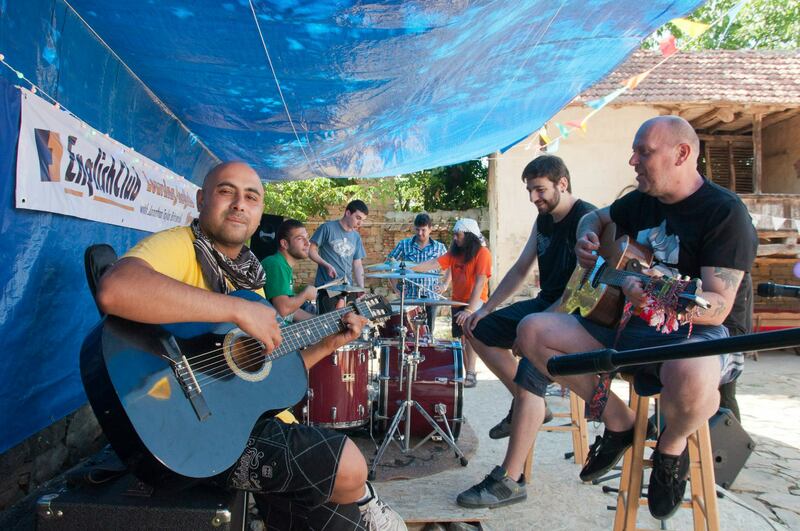 Are you ready to check out a new EnglishClub music video (with subtitles)? Rainbow Nation Colour Song, by Jonathan Taylor, is a catchy reggae tune about colours. Sing along as you watch and listen to the video. You can’t help but learn the colours! EnglishClub’s new release, The I Song by Jonathan Taylor, is a fun reminder about the importance of capitalizing the letter I when it stands on its own. Even if you’re chatting, texting, or writing a status update, it’s still a good idea to use capital letters properly. Take the time to use the shift key even in casual conversations. 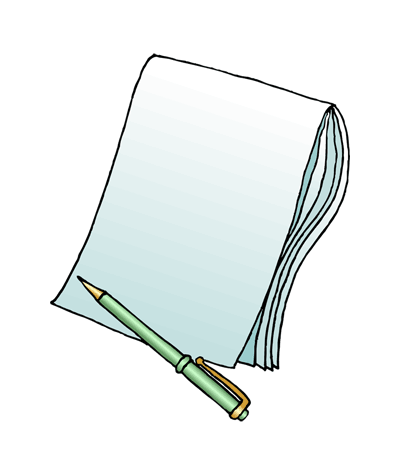 Then, when it’s time to write a business letter, exam, or essay, you won’t have bad habits. EnglishClub has teamed up with singer, songwriter Jonathan Taylor to produce a new music video for English learners. The Alphabet Song for Rockers is now available on EnglishClub’s YouTube channel. Please share this video with your English language learning friends. If you’re an English language teacher, we hope you’ll practise this song with your students. 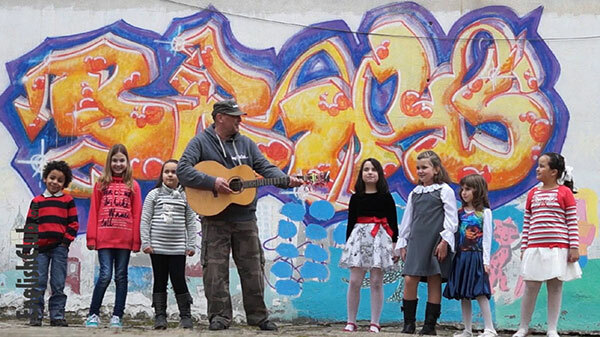 Stay tuned for more English language learning music videos by Jonathan Taylor (coming soon)! EnglishClub recently received a question from an English learner about finding listening materials. We wrote back to this learner, but thought we’d expand a bit on our blog in case any of you have the same question. 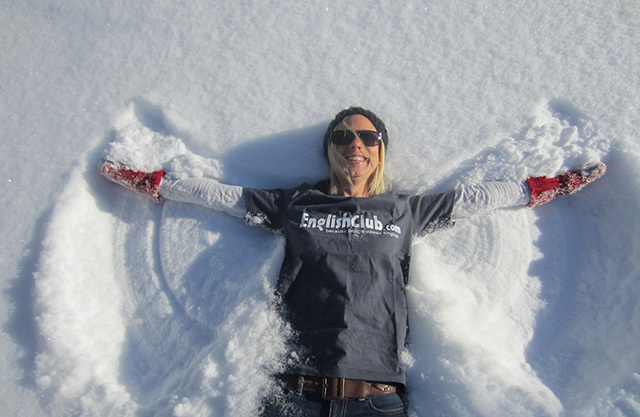 Q: Where can I find audio practice in American English on EnglishClub? The EnglishClub Team would like to say a special thank you to MyEC member Nadiyah who has been our Photo Gallery Moderator for two years. Before Nadiyah became a volunteer, the MyEC photo gallery was a bit of a junkyard. It was full of photos that were copied from the Internet. Most photos had no titles or descriptions, and weren’t very useful for practising English. Slowly, but surely, Nadiyah began to teach members how to make the MyEC Photo Gallery a space for learning and practising English. She did this with patience, dedication, and creativity. Like any great teacher, she provided great models that members could use in order to follow the photo guidelines. Nadiyah also held several Photo Challenges on her MyEC blog. People who participated forgot that they were learning English as they played along. Nadiyah’s English also improved tremendously as she taught members how to practise English with images. 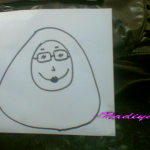 Nadiyah’s blog is a treasure of ideas for English teachers. The photos she takes are always excellent as well. Nadiyah is a busy woman and has asked for a break from her duties as a MyEC mod. We will miss her help so much but are so grateful for everything she has done to make MyEC a fun, safe and creative place for practising English. We hope to have a new Photo Mod starting soon, and Nadiyah will undoubtedly have some tips to share. Perhaps she will return to her volunteer position when life gets a little less hectic! We are also in the process of turning the MyEC Video Gallery into an organized space, and we have much to learn from Nadiyah. CAMBRIDGE, UK (EnglishClub.com) Friday April 1, 2011 — Foreigners travelling to Southeast Asia to teach English may soon face strict screening procedures upon arrival. 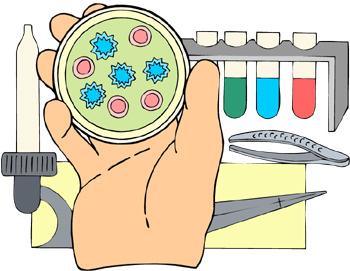 The newly-proposed measures include grammar, spelling and IQ tests, hygiene and personal grooming assessments, as well as mandatory on-the-spot drug tests utilizing state-of-the-art urine-testing kits. The measures, proposed by education department officials in the Association of Southeast Asian Nations (ASEAN), are intended to prevent large numbers of unemployed foreigners from countries including the US, the UK and Australia from flooding the local job market in search of employment as “native English teachers”. 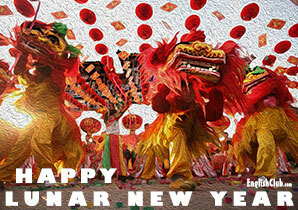 ASEAN is following up on its recently-announced single visa plans. Under proposed new arrangements, foreigners wishing to teach English will be thoroughly screened both before and after arrival, but once admitted will be able to teach in any of the ten ASEAN countries (Brunei, Cambodia, Indonesia, Laos, Malaysia, Myanmar, the Philippines, Singapore, Thailand, Vietnam). Under the scheme, TEFL (teaching English as a foreign language) teachers from outside ASEAN will receive an Alien Teacher Fitness Certificate (ATFC). 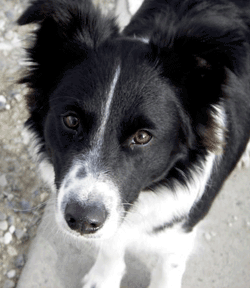 Following a report in the EL Gazette and the recent introduction of tougher rules designed to stop abuse of the student visa system, the UK Government has completed a feasibility study to determine whether dogs could usefully contribute to the English ability assessment – an essential part of the new visa procedure – thus freeing up valuable man-hours and saving the British taxpayer up to £23,000,000 per year. CAMBRIDGE, UK (EnglishClub.com) Tuesday April 1, 2008 — The United Nations is to hold its first debate on language redundancy amid warnings that the problem is “a major contributor” to climate change, a “massive threat” to international security and the cause of “rifts and divisions” within society. Next week’s meeting is the result of an improbable coalition of interests, and follows sustained pressure from the US Administration, the World Health Organization and the United Nations Environment Program.